A gaussmeter measures the strength and direction of a magnetic field and may also be called a magnetometer. The standard unit of measure is the tesla, but this is a very large quantity of magnetism for most applications. The gauss is generally a more commonly used unit and is equal to 0.0001 tesla. A gaussmeter generates an electrical current in response to a magnetic field that can then be used to move an indicator needle. You can make a simple gaussmeter at home from basic electronic components. Select the Hall effect device. An uncalibrated Hall device is inexpensive but will only have relative accuracy and can only make comparisons between tests. A calibrated Hall effect device will be considerably more expensive but will allow you to make absolute measurements of magnetic fields. Choose the mounting board and voltmeter. A perforated board is cheaper but will require you to solder the parts together. Breadboard is more expensive but does not require soldering and may be reused. 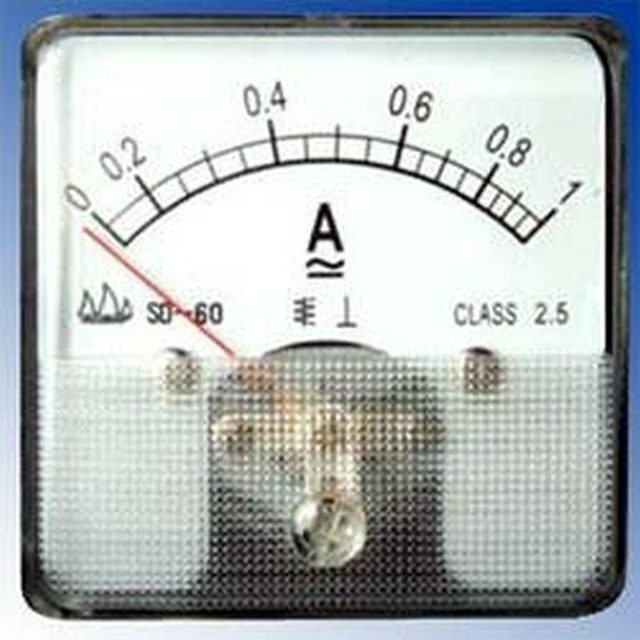 The voltmeter should be able to register at least 20 volts and should display voltage in hundredths of a volt. Connect the voltmeter. Connect the input of the voltage regulator to the red battery clip. Connect the common ground of the voltage regulator to the black battery clip. Attach the output of the voltage regulator to the input of the Hall device. Connect the common ground of the Hall device to the common ground of the voltage regulator. Set the voltmeter to read a maximum of 20 volts. Connect the positive terminal of the voltmeter to the Hall device’s output. Connect the negative terminal of the voltmeter to the common ground of the voltage regulator. Place a battery onto the battery clip and test the gaussmeter with a magnet. Robinson, Allan. "How to Build a Gauss Meter." Sciencing, https://sciencing.com/build-gauss-meter-5245442.html. 24 April 2017.